New Spec Home by Tom Schmucker & Sons. Great pond lot and house designed with a covered porch that could be screened or enclosed overlooking that pond. Open 3 BR split-bedroom designed floor plan with large open spaces in the Greatroom & Kitchen. Loads of upgrades including Custom kitchen cabinetry, huge 7 ft. Kitchen island/bar, Rounded drywall corners, Pocket doors, Trey ceilings, Vaulted Master BR, Rounded archways in Greatroom and halls. Wonderful covered porch that could be screened plus a large patio. 3 Car garage, pull-down attic stairs, Hi-efficiency Furnace & Central Air, 50 Gal HWH, Andersen windows and white painted woodwork. Nice country-feel location close to Chapel Ridge shopping and I-469. 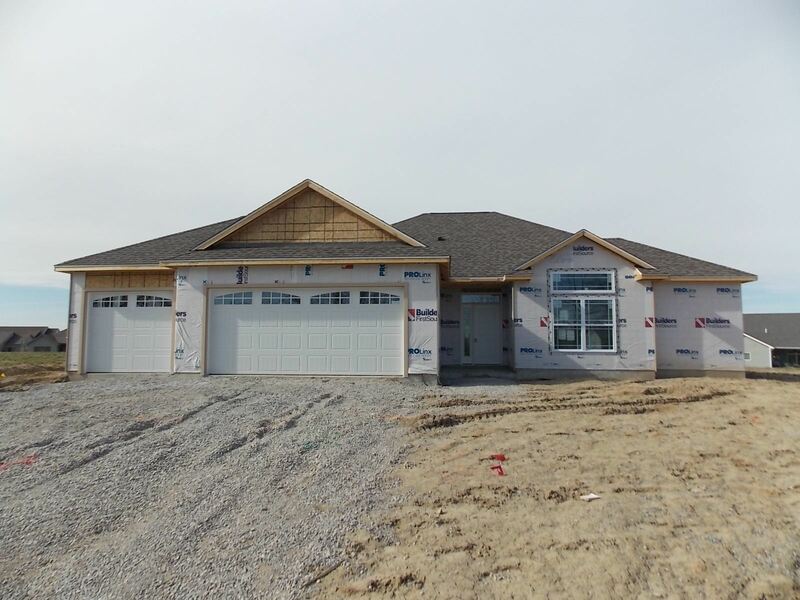 Pictures that show a more completed home are examples of what this great new home will look like. Great floor plan and lots of extras...you&apos;ll want to see this one!! !